Have you ever wanted to send a text message to someone anonymously? You have to admit, it is a really great way to have fun. Well, sending mysterious messages without revealing your identity can be done quite easily. There are very many sites that allow users to do just that. In this article, we are going to share with you seven of the best sites. But before we do, we should caution you to read the terms of service for whatever site you choose to use to avoid any future legal problems. Also, these anonymous sites are intended for enjoyment purposes. If you send an illegal message, your IP address can still be tracked. That said, here are the best sites to send anonymous text messages. This is one of the most trusted online text spoofing sites you can use. One of its major advantages is that it is very easy to use. 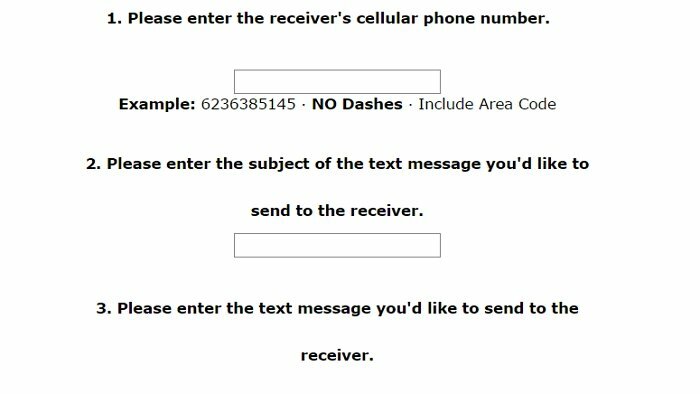 All you have to do is enter the sending number and the receiving number and you’re good to go. 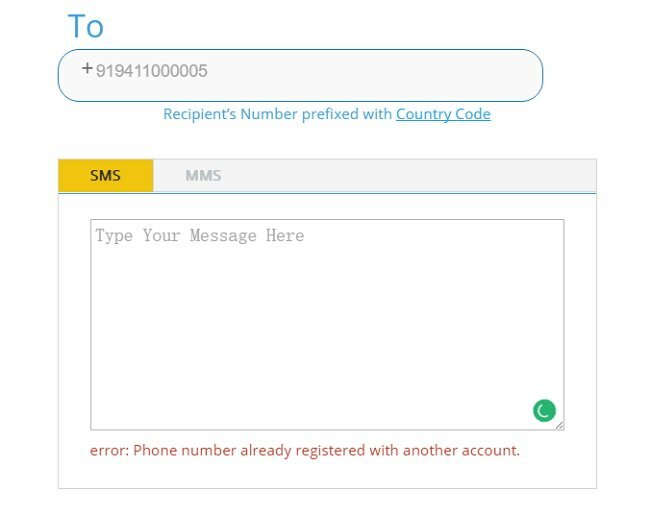 It also allows you to select a country to send messages from different countries. As the sender, you remain completely anonymous and the whole process is so easy. 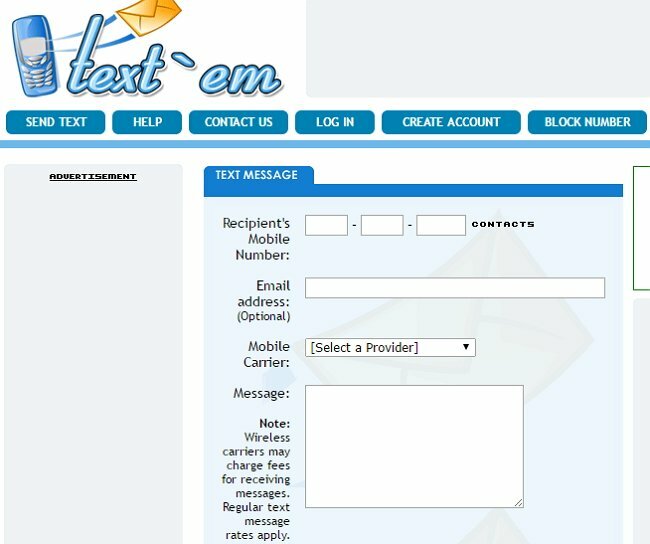 Textem is a great solution if you want to send unlimited free anonymous SMS to your friends. The site allows you to choose your preferred Carrier from the United States to message anyone. The major advantage with this site other than the fact that it is free is that it allows users to send an unlimited number of messages with unlimited characters. The major disadvantage is that it is limited to Unites States Carriers. This is another free service that allows users to anonymously send text messages to any number in the United States for free. It allows you to send messages to someone without revealing your number to the recipient. It is 100% free which is one its major advantages. It will however not allow you to send more than 140 characters and can only send messages in plain text. TxtDrop is a simple to use site that allows users in the United States and Canada to send anonymous text messages to ay number. It is very simple to use and its major advantage is that it can be integrated with your website to allow users to send SMS directly from their web pages as well. 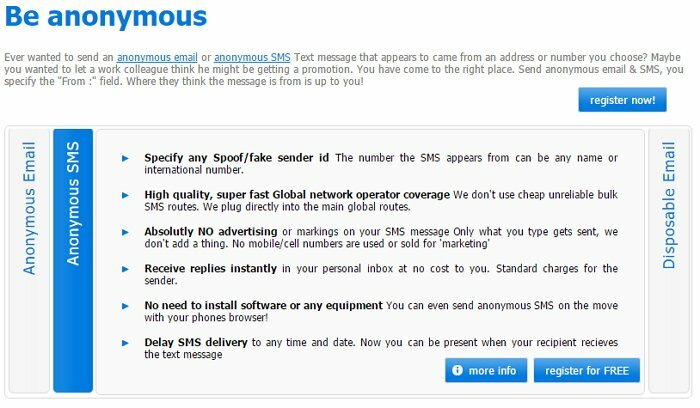 While many of the others we have seen above only work in the United States and Canada, Seasms will allow you to send anonymous text messages globally. It also has a feature that allows users to send bulk messages starting at $20. Your messages can include attachments like pictures or videos. One of the greatest advantages of using AnonTxt is that it very simple to use and completely free. You don’t even need to register to use the service. It is however not available to users outside the US and Canada. Sharpmail offers you another way to send anonymous texts to anyone across the globe. It is easy to use and even allows users to create an address book from which they can send messages. It will even allow you to store a history of your messages. Messages sent are instantly delivered and you get a delivery report indicating the recipient had indeed received the message. We all know how important a backup of the data on your device can be which is why it is important to have a tool that allows you to easily create this backup to your computer. The best tool for the job is iMyFone D-Port a program that is designed to allow you to simply export data from your iPhone to the computer. The following are some of its features. You are allowed to backup only WhatsApp, Messages, WeChat or the whole data on your device. You can use this program to view and export multiple types of data from your device to your computer. You can export messages, videos, photos, call logs and more. It will also allow users to access, view and export multiple types of data from both iTunes and iCloud backup files without having to restore the device. It has a preview function that allows users to view data before exporting. This way you can make sure you are exporting the right data and also selectively export data. If you want to restore only individual app data from iTunes or iCloud backup without affecting the other data on your device, you can use iTransor (iOS 12 Supported), the pro version of D-Port.